The 2019 Land Rover Discovery has a towing capacity of up to 8,201 pounds. Combine this towing capability with the option to have two rows or three rows of seating, as well as a maximum cargo capacity of 88.3 cubic feet, and enjoy the ultimate adaptability of this luxury SUV. 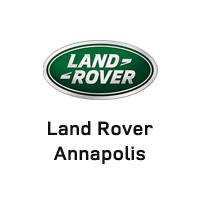 Learn more about Land Rover Discovery towing at Land Rover Annapolis near Crofton. Towing with ease and safety is more than just about engine specs. The Land Rover Discovery offers advanced technology and performance features that can provide stability, increase traction, and allow to navigate rough terrain and road conditions in Severna Park. Terrain Response® 2: This features allows you to choose the best drive mode option for your driving style or the road conditions. Dynamic Stability Control and Electronic Power Assisted Steering: This feature enhances your on-road capabilities to ensure you’re stable and you can steer confidently. All-Terrain Progress Control (ATPC): This available system helps you set an maintain a steady speed when driving over challenging road conditions. It works like a lower-speed cruise control and allows you to focus on steering and handling. Advanced Tow Assist: This optional feature helps you control the direction of both your vehicle and your trailer (or item you’re towing) when driving in reverse. When you are ready to experience the Land Rover Discovery prowess in person, contact your local authorized Land Rover retailer near Severna Park. Then be sure to check our current Land Rover specials so you don’t miss out on a great deal on your next Land Rover SUV purchase!